OTs-14 “Groza” (Lightning) is a limited five-star Russian AR obtained by completing Operation Cube’s 4th map 15 times. 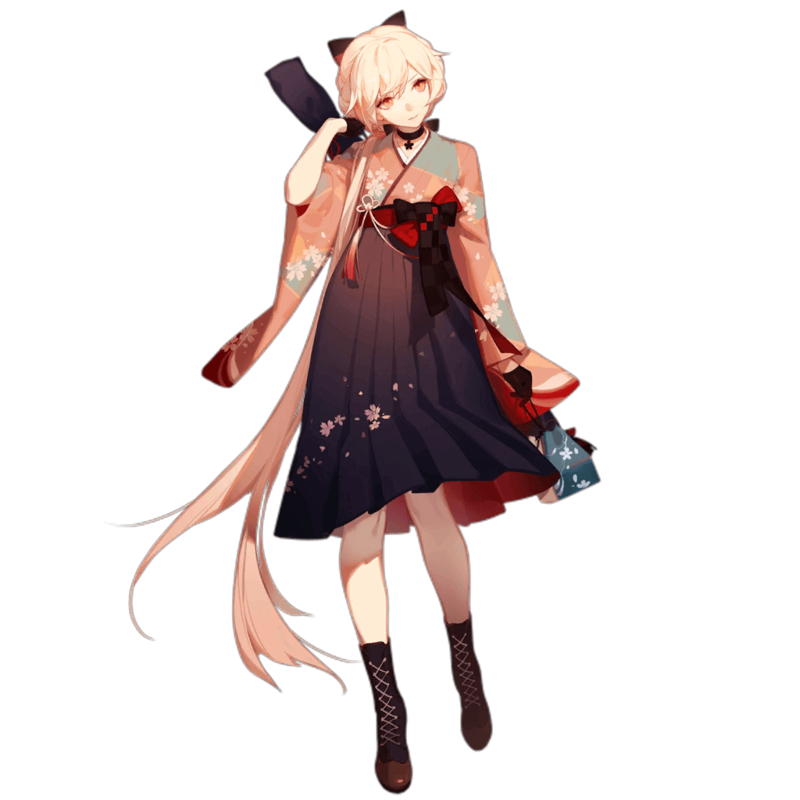 Her unparalleled Damage self-buff in night battles that is further complemented by her strong stats is what earned her the “Night Queen” nickname in the community. Thanks to these factors, Groza is able to melt armored and unarmored enemies alike with graceful, speedy ease. Although her performance in Day battles pales in comparison to her performance in Night battles, don’t take that to mean Groza is anywhere near bad during daytime. She still carries a strong 70% Damage self-buff that allows her to deal respectable damage even then. 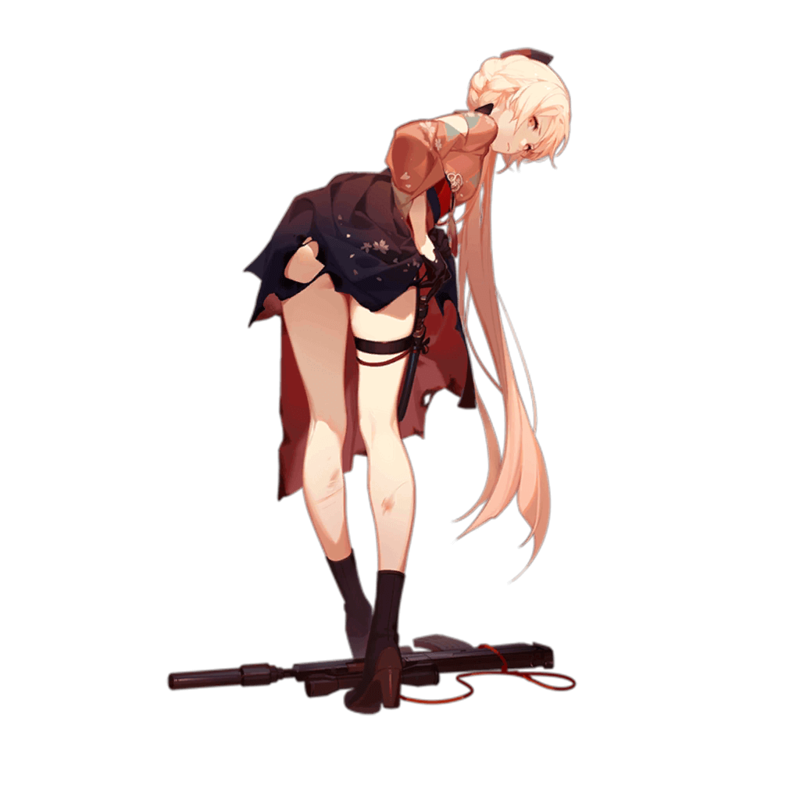 Groza’s stats are above average across the board and allow her to make great use of her Skill. Groza has the strongest Damage self-buff out of all ARs during Night battles. Because of this, her performance during nighttime is unmatched by any other AR. Her 200% Damage self-buff allows Groza to melt armored foes with ease at night. Reputation is built upon deeds, and what sort of deeds could Groza have accomplished to earn the “Night Queen” title? The answer is not any single factor, but rather a combination of qualities that make Groza great. Groza has a strong stat base with high Damage and RoF that allow her to fully take advantage of her amazing self-buff. Something that plagues many ARs with strong abilities is their subpar stats, and in this regard, Groza simply has no downsides to speak of. Sporting a 200% Damage self-buff Skill, Groza has the strongest nighttime-focused AR Skill in the game and it allows her to pump out insane damage when used in conjunction with strong buffers such as Mk23. Since Groza is already able to reach high Damage numbers on her own, though, it is more efficient to increase her RoF stat instead so as to avoid overkill. Groza is, without a doubt, the AR who is best equipped to deal with armored foes. Because armor is a flat damage reduction at the end of the equation, Damage self-buff ARs are simply better at dealing with armor and when it comes to Damage self-buffs, Groza is unparalleled at Night -- the only place armored mobs can be found in. Overall, Groza is an exceptionally powerful AR who would be a good fit for a day team and a no-brainer for a night one. There’s very few -- if at all -- reasons not to use her at night, and she’s a reward that you won’t want to miss. Damage buffs are the best answer to well armored foes, and since Groza provides them a high modifier to work with, her raw Damage will skyrocket when buffed by teammates such as Mk23, M4A1, Grizzly, SAA. If high DPS is needed, Groza can benefit immensely from RoF buffs due to her naturally high Damage. In these cases, Vector, Welrod, SR-3MP, G36C all provide great buffs for her. A Handgun is mandatory in night battles, which is mainly where Groza will see usage. Therefore 3 AR 1 SMG 1 HG is the best suited Echelon composition for her. This is a slight variant to the former Echelon composition that works well. In this case, an HG with strong buffs and skill is employed to make up for the third AR. This composition features better tanking capability but less DPS than 3 AR 1 SMG 1 HG. The OTs-14 Groza is a bullpup rifle designed in the 1990s by V.N. Telesh and Y.V. Lebedev. Produced in 1994, The OTs-14 has since then seen service by the Russian Spetsnaz unit.